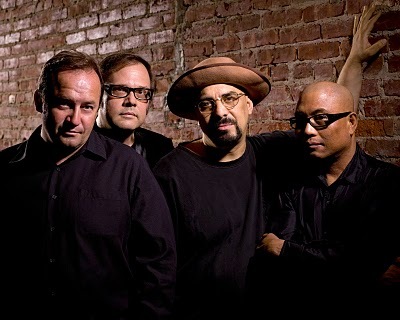 OUR TOP LABOR DAY WEEKEND CONCERT PICK–Smithereens 30th Anniversary Homecoming Concert! What can we say? Be there or be bored! 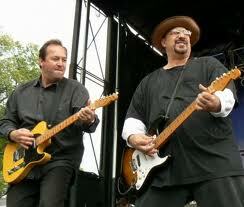 At 8PM on Saturday, September 4th, 2010 at Carteret Park, Carteret, NJ is the Smithereens 30th Anniversary Homecoming Concert–the guys will also be getting the key to the city and there will be post concert fireworks. (Directions and other pertinent information can be found at officialsmithereens.com and http://www.ci.carteret.nj.us/.) If you want to be extremely picky about your Smithereens history, three of the members (guitarist Jim Babjak, drummer Dennis Diken and original bassist Mike Mesaros) actually knew each other in high school in Carteret, circa 1971. (Lead vocalist/rhythm guitarist Pat DiNizio found the three aspiring musicians through an ad he placed in the Aquarian Weekly music paper in 1980.) Hmm, since three of the band members have known each other since 1971, does this mean they can get away with doing a 40th Anniversary Homecoming Concert next year?! We caught up with Pat DiNizio yesterday by phone as the band rehearsed in the East Village for the much anticipated free show and tried to get as any details out of him as we could regarding the set. The band still tours almost as much as the old days, and Pat does a lot of intimate solo shows called Living Room Concerts where you can actually get up onstage and perform with him (although there really is no stage in a living room)! There are many of these shows coming up across the country, so please be sure to check out patdinizio.com for more details. But back to Saturday’s show (which we have been talking about to anyone who’ll listen although we just personally started listening to them after seeing their blistering set at Rock Con four or five weeks ago). 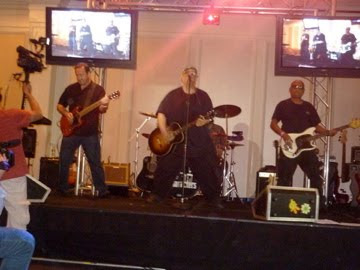 As you Smithereens fans already know, the band is in 3/4s of its original lineup who first got their start playing the Court Tavern in (you guessed it), Carteret, NJ. Mike Mesaros retired a few years ago (he is in the San Francisco area and is rumored to be in the restaurant business) and was replaced a few years ago by Severo Jornacion, aka “The Thrilla From Manila.” We’re still laughing about the urban legend that when “The Thrilla” learned he was replacing Mesaros in the Smithereens, he bought a Sopranos boxed set to “learn what guys from New Jersey are like.” Pat has described himself as “Tony Soprano without the homicidal tendencies” in one article, but Tony is not as nearly as hip and savvy! We have nothing further to say except that we are awaiting the Smithereens 30th Anniversary Concert with anticipation because it’s a once-in-a-lifetime deal and as Pat puts it, “We give people more value for their money than what they actually pay for because of what they have done for us.” Let us add that the band is still playing at the top of their game (unlike many others who have been around for as long) and that they seem to really play off the energy of their fans, no matter what size venue they are performing in. We here at themacwire.com wish them at least 30 more good years!